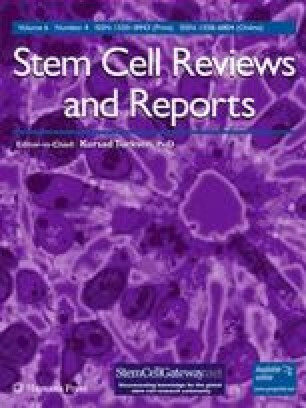 As scientists position themselves in translating the therapeutic potential of stem cells from laboratory to clinical applications, publishing companies have taken this rapidly evolving field as a unique opportunity to launch new journals for dissemination of stem cell research. Over the last decade, the significant increase in the number of stem cell-based journals has created a conundrum. At stake is the pressure for these new journals to build their reputation by maintaining publication standards, while at the same time attracting a cadre of stem cell researchers to consider their journals as the publication of choice. We discuss here a prophetic path of survival for these journals which likely will closely mimic the core scientific and translational value of stem cells, namely their capacity to proliferate and differentiate into something meaningful! The authors thank Ms. Cate Bae for excellent technical assistance in manuscript preparation. CVB is funded by James and Esther King Biomedical Research Program. PRS and CVB serve as Editor and Associate Editor of Cell Transplantation, respectively. PRS is also an Associate Editor of Stem Cells and Development, while CVB is an Editorial Board Member of Stem Cells.